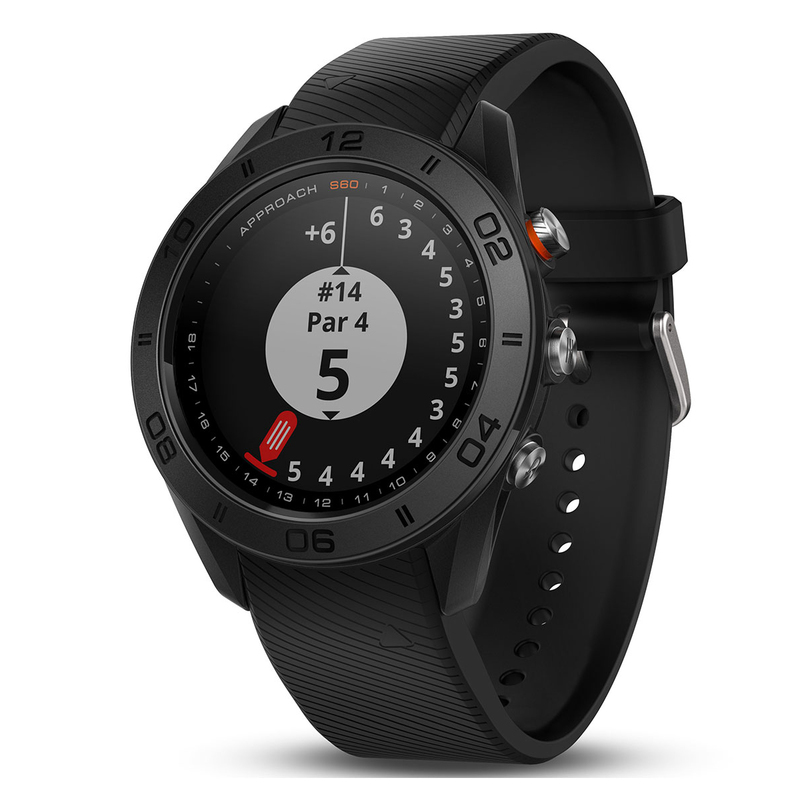 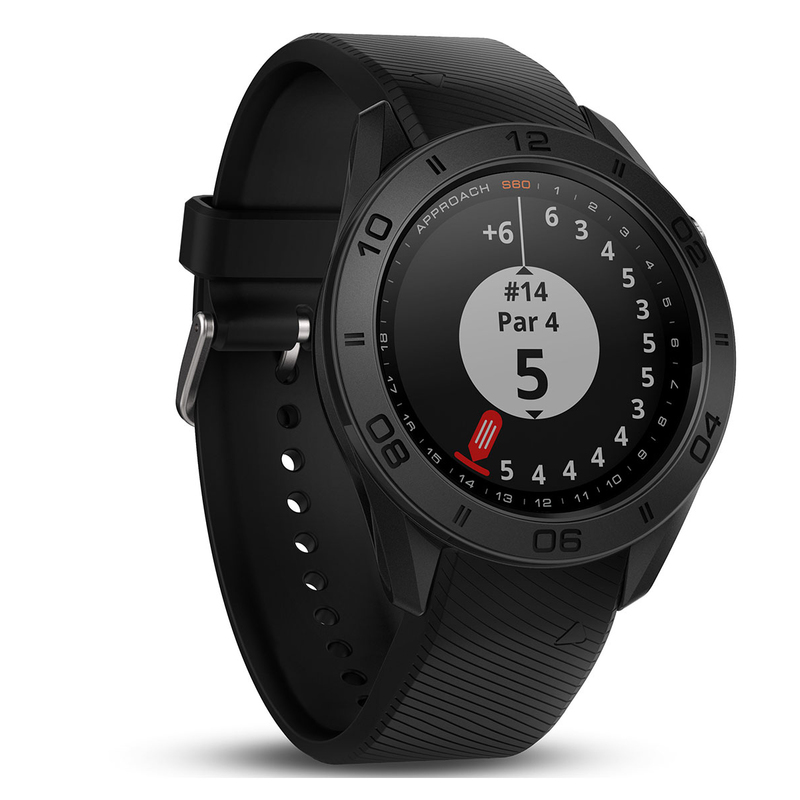 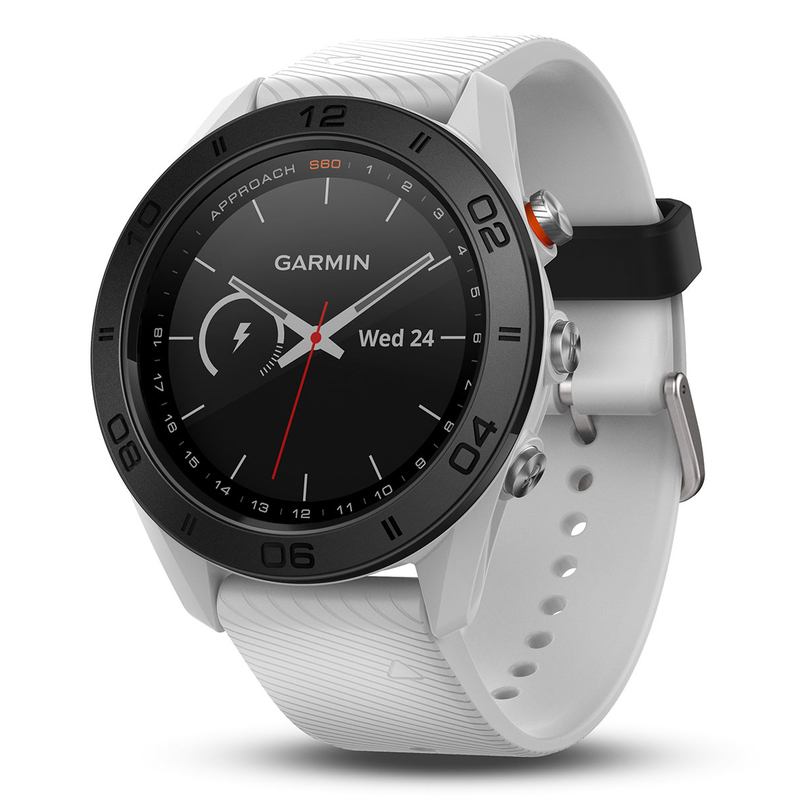 The Approach S60 is a GPS golf watch, packed with features and designed to look great on and off the golf course. 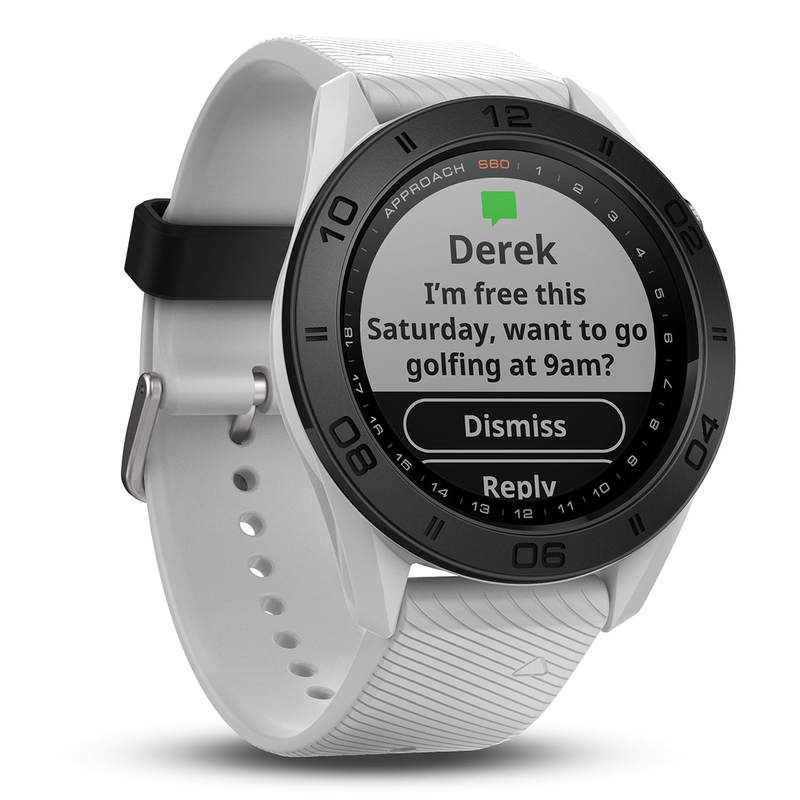 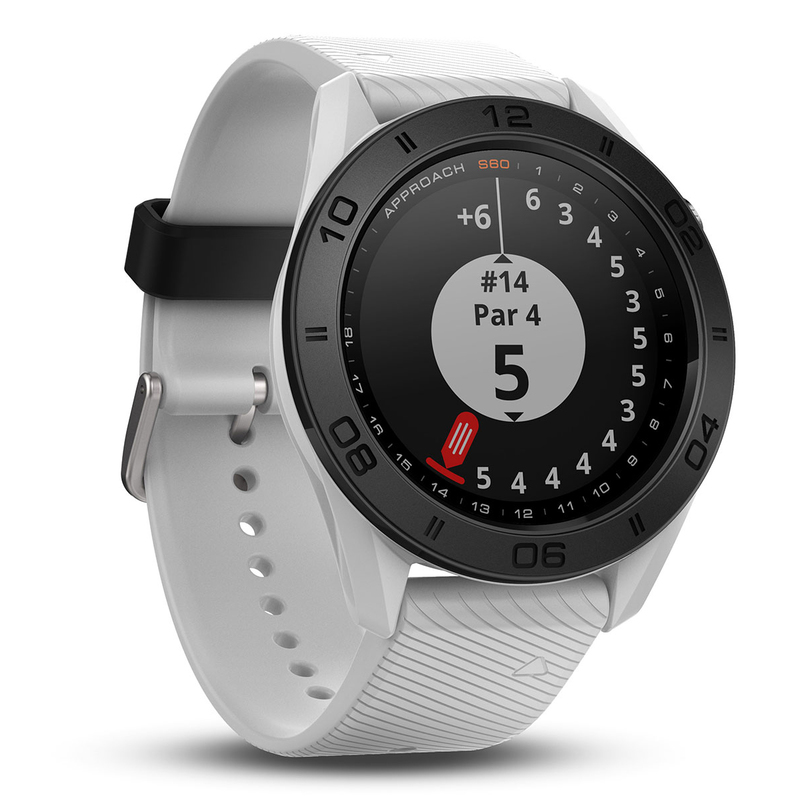 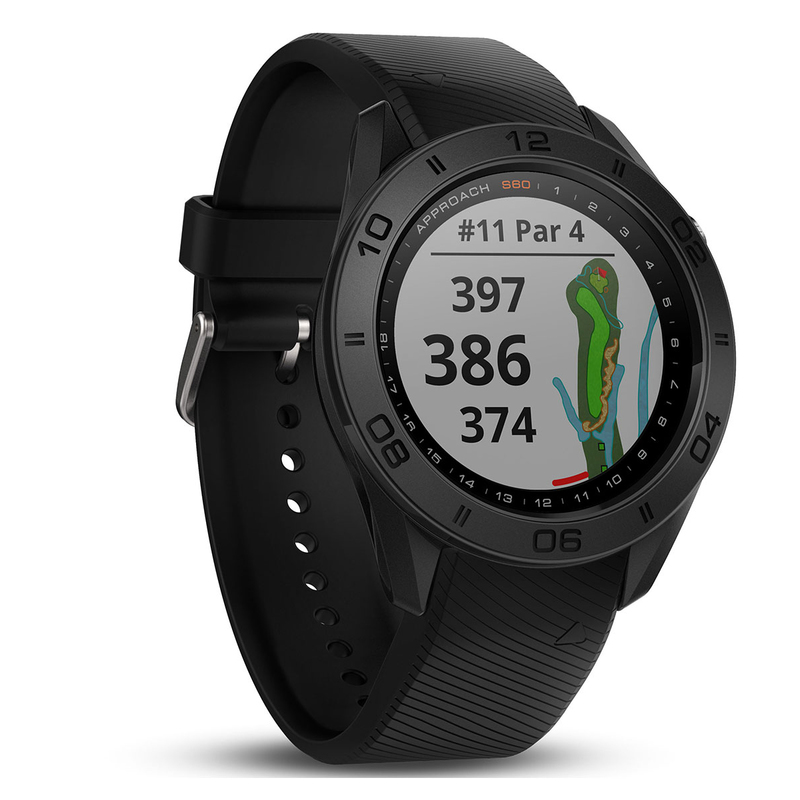 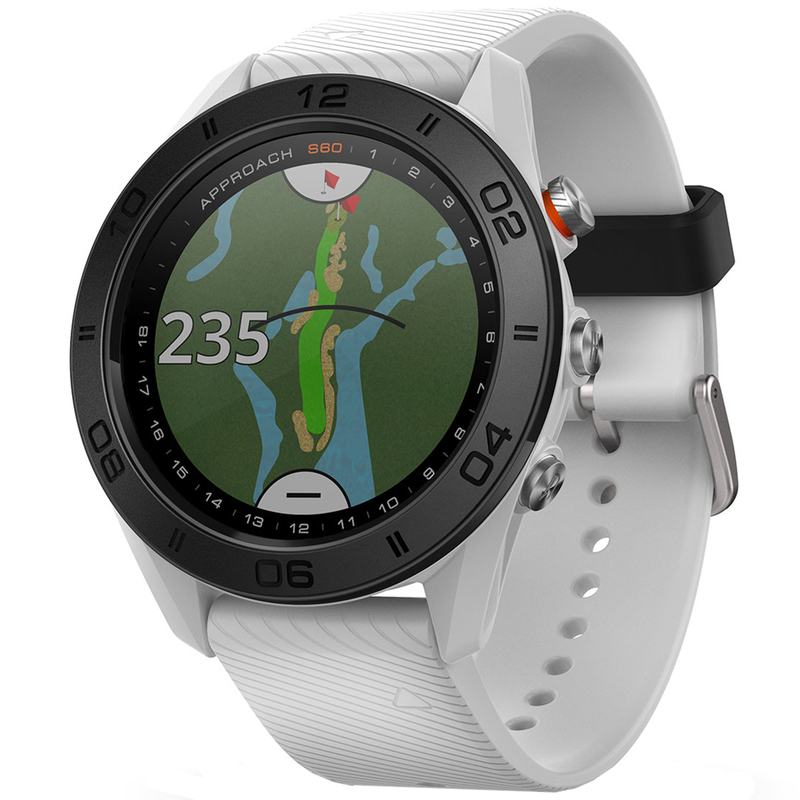 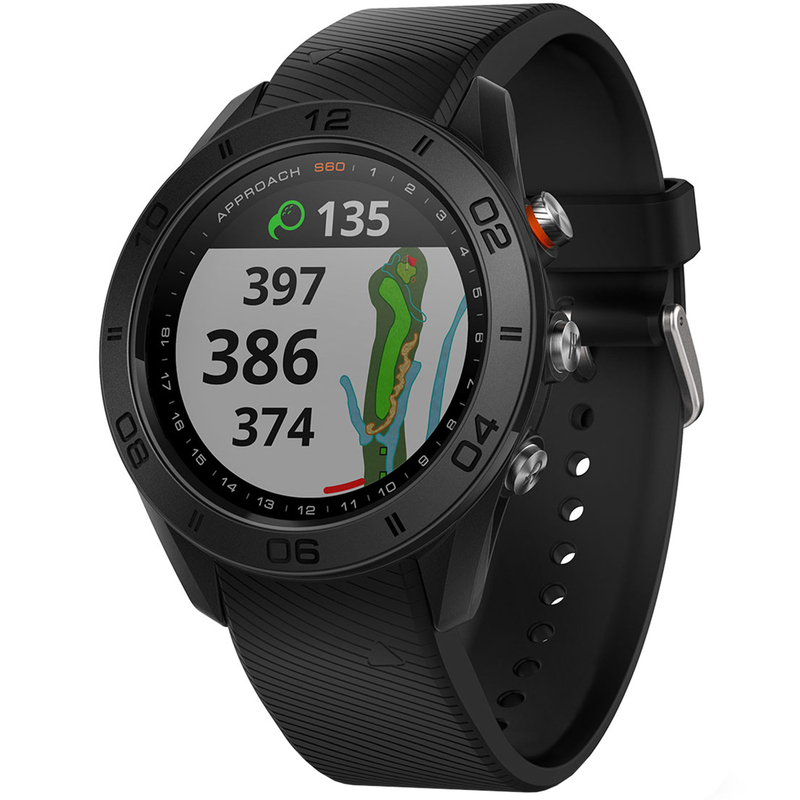 This sleek watch integrates detailed course maps for all your information you need on a large, easy-to-use touchscreen. It's like having a caddie on your wrist. With over 40,000 pre-loaded, this watch is ready to go when you get it out the box. Then simply link it to link it to Garmin connect, download the Garmin app and get ready for all the data and more that you will need. You can also change the settings to Big Numbers mode to ensure you can read the correct distances. The large 1.2" watch provides a sunlight-readable colour touchscreen display with higher-resolution and improved touch. All new user interface is streamlined resulting in an all relevant information right when you need it. 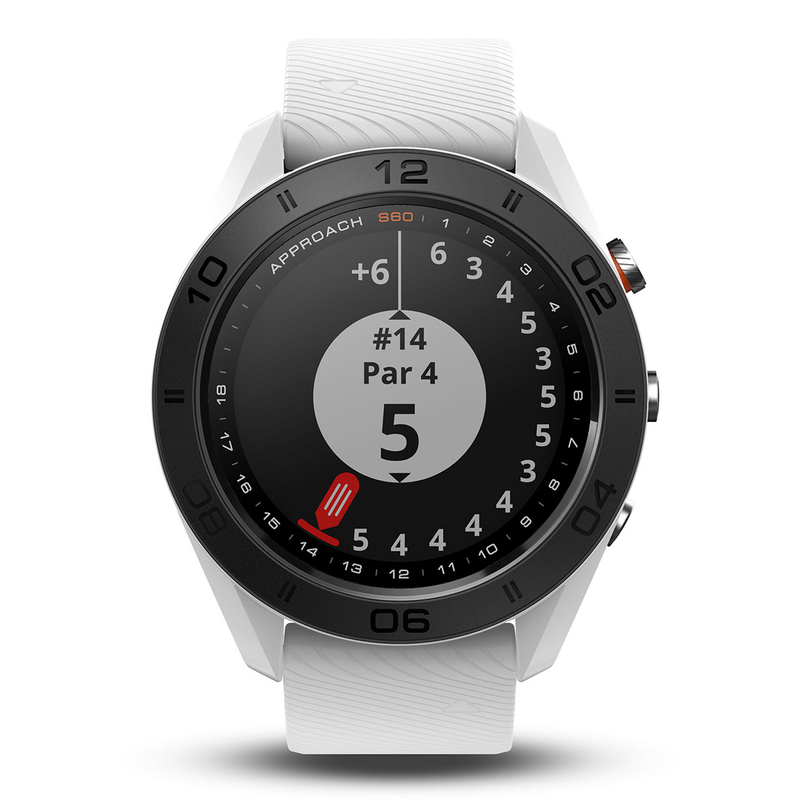 This watch is also fully functional. Simply sync it to your smartphone to get notifications, such as incoming calls, texts, emails etc. It is also compatible with Gamin Golf app. 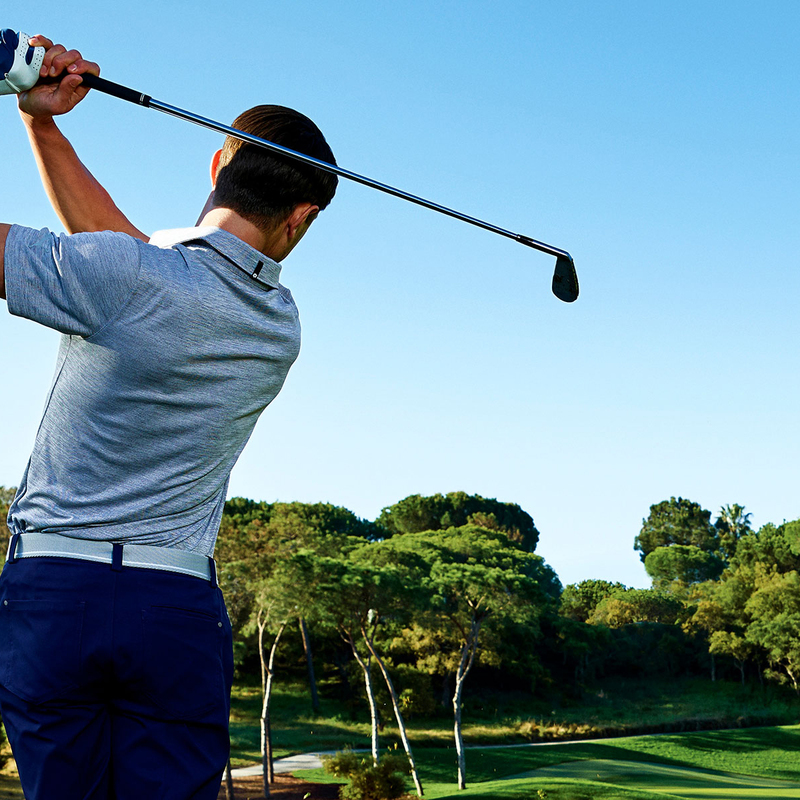 Through this, you can complete against your friends and family on weekly leader boards and even create your own tournaments. The battery is rechargeable and can last up to 10 hours in golfing mode and up to 10 days in watch mode. The 'Playslike' feature offers you with enhanced details on uphill and downhill shots. 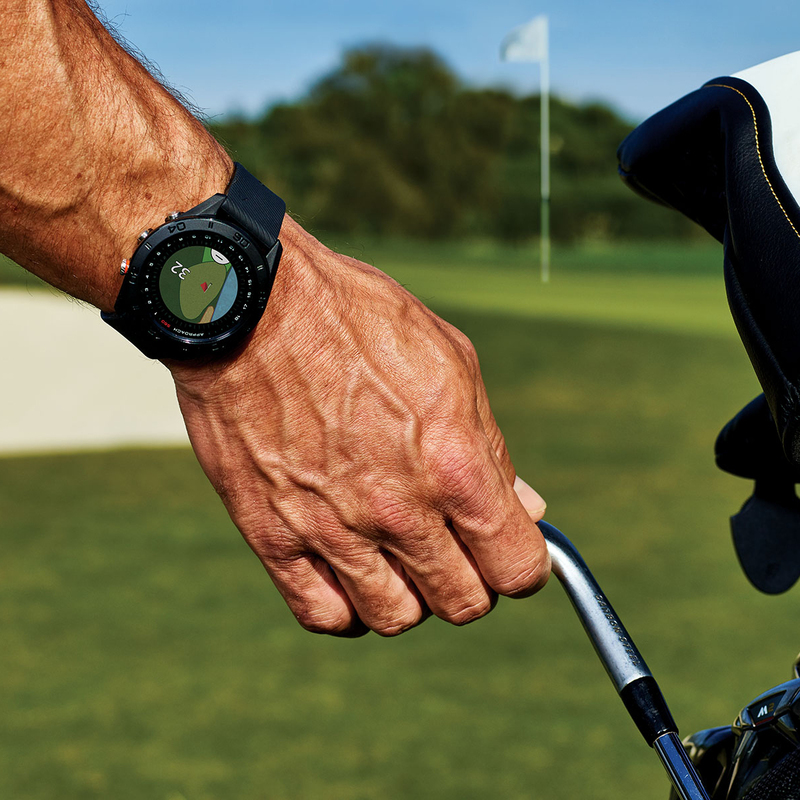 Improve your consistency thanks to the SwingTempo feature which measures the relationship between the back swing and the downswing. 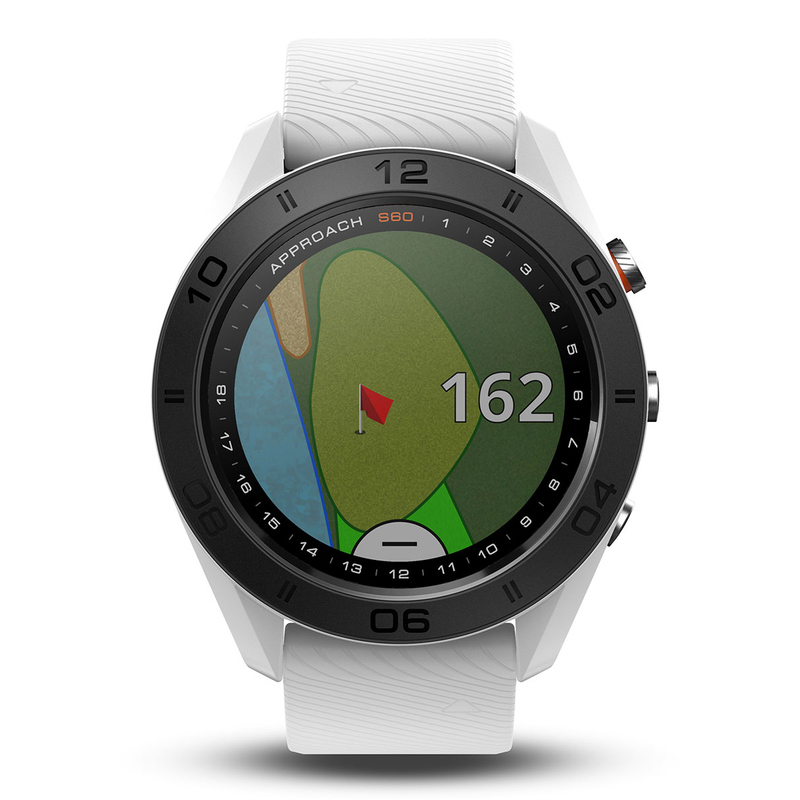 Touch 'Targeting' lets you touch the screen at any point on the map for precise yardages to that exact spot. The PinPointer feature allows you yo know precisely the direction to the green when you have an obstruction in your view. Green View lets you see the shape of the green and allows you to add in a pin placement for improved distance accuracy. This watch includes an 'Activity Tracking' feature. This reminds you to stay active on or off the course with move bar alerts. It displays steps, calories burned, distance and time of day, while also being capable of monitoring hours of sleep. 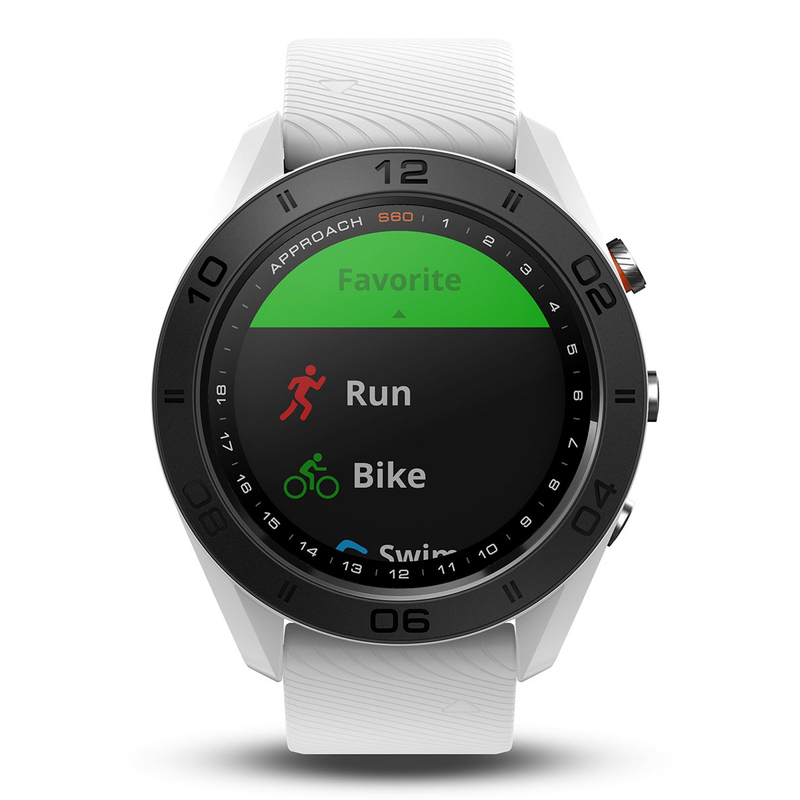 If you're an active sports person, then you can use this watch across many other sports. 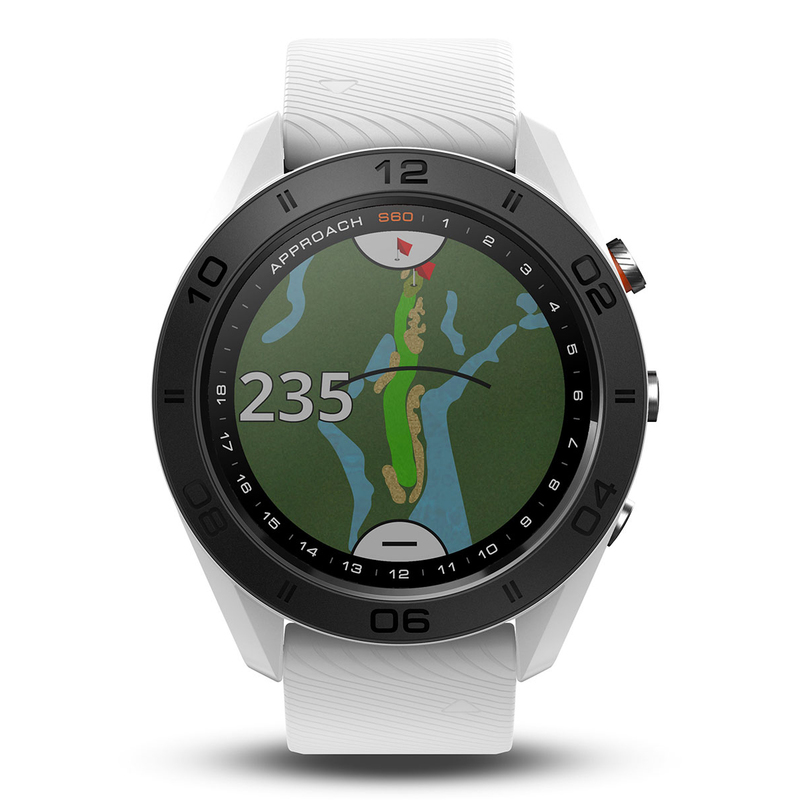 If it's not already pre-loaded, simply search for the app and download to the watch. You can also keep connected to your smartphone via Bluetooth, to get smart notifications such as incoming calls, texts e-mails and more.